15 piste(s) Musique d’Europe sur 121 MusicStore, en MP3 HD et sans DRM. [En] With the release of An Irish Christmas in 2006, Moya Brennan reworked the classics with an intimacy that restored the personal and the passionate to what had become mumbled, half-remembered musical yarns. Now, with the addition of five newly inspired songs (*), a fresh version of An Irish Christmas places the listener back in the front row of the ultimate nativity opera, as she fills these songs with new life. This release coincides with Clannad’s new record, Nádúr, and Moya returns to the United States in November for a special Irish Christmas Tour. Details here.In the meantime, sit back and enjoy a video of An Irish Christmas! 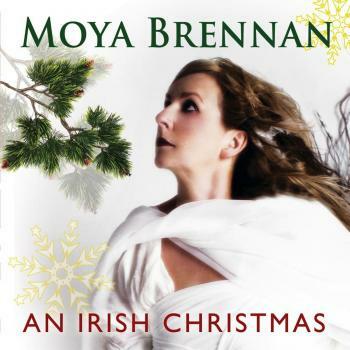 La description de l’album An Irish Christmas de Moya Brennan n’est pas disponible actuellement. Commentez cet album et gagnez des cartes de téléchargement gratuit et/ou des Ipods Apple.